Wimpole Estate is a large estate containing Wimpole Hall, a country house located within the Parish of Wimpole, Cambridgeshire, southwest of Cambridge. The house, begun in 1640, and its 3,000 acres of parkland and farmland are owned by the National Trust. Wimpole is the largest house in Cambridgeshire. Wimpole Home Farm is an 18th-century model farm is one of 16 Rare Breeds Survival Trust approved farm parks. Originally built in 1794 as a model farm by Sir John Soane for Philip Yorke, 3rd Earl of Hardwicke, the farm today displays a collection of farm implements and is home to a number of rare breeds of farm animals. Sited close to the great Roman road, Ermine Street, Wimpole was listed in the Domesday Book of 1086. At that time there was a moated manor house set in a small 200 acres deer-park. Situated to the north and south of this were three medieval villages: Bennall End, Thresham End and Green End. The house was held by the Chicheley family for over 250 years. The last of this family to hold the house was the politician Thomas Chicheley, who was responsible for the "new" house that was completed in 1650. He enjoyed the house for 36 years until, weighed down by financial problems, he was forced to sell to Sir John Cutler. In 1689, Sir John gave it as a marriage settlement to his daughter Elizabeth and her husband Charles Robartes, 2nd Earl of Radnor. On the death of Elizabeth in 1697, without an heir, the estate passed to Edmund Boulter, nephew of Sir John Cutler. In 1710 it was in the possession of John Holles, 1st Duke of Newcastle-upon-Tyne, who left it to his daughter Lady Henrietta Cavendish Holles upon his death the following year. Upon Henrietta's marriage, in 1713, it became the possession of her husband Edward Harley, 2nd Earl of Oxford and Earl Mortimer. In 1740, Edward sold Wimpole to the Earl of Hardwicke, to pay his debts. The Earls of Hardwicke held it until it passed into the hands of Thomas Agar-Robartes, 6th Viscount Clifden, and then his son, Francis Agar-Robartes, 7th Viscount Clifden. In 1938, Capt. George Bambridge and his wife, Elsie, daughter of Rudyard Kipling, purchased it after having been tenants since 1932. They used the inheritance left to them by her father, and the royalties from his books, for the long-needed refurbishment of the house and grounds. The final chapter of Wimpole as an owner-occupied residence was closed in 1976 when Elsie died, leaving the property to the National Trust. 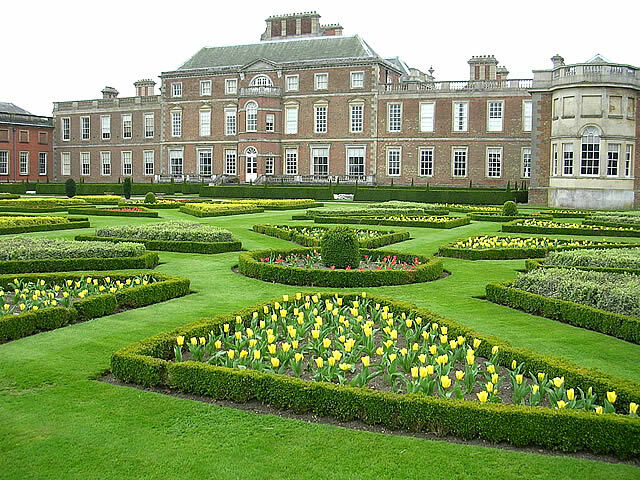 Wimpole Hall's grounds were laid out and modified by landscape designers such as George London and Henry Wise (1693–1705), Charles Bridgeman (1720s), Robert Greening (1740s), "Capability" Brown (1767), and Humphry Repton (1801–1809). Bridgeman's formal grand avenue sweeps away from the south front of the house for two and a half miles, in contrast with the remainder of the park which was "naturalised" by Capability Brown. The North Park is particularly attractive with its belts of woodland, gentle rolling hills with individual trees and clumps of trees. The central feature of the North Park is the Gothic Tower and the restored lakes in the valley below. 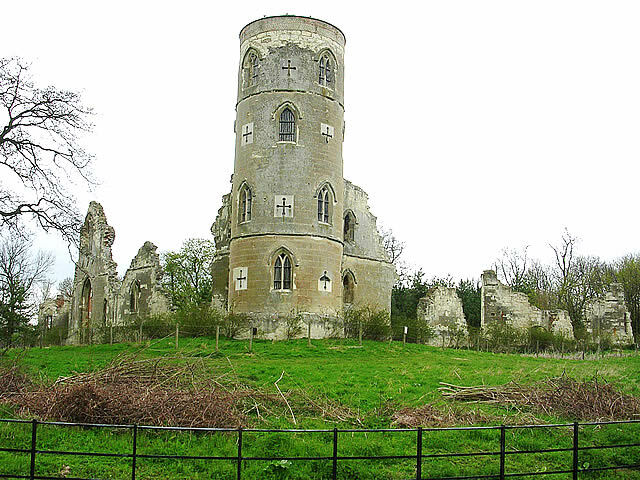 In the grounds are a chain of lakes (1695–1767), St Andrew's church (1749), Wimpole's Folly (the false Gothic Tower; 1768), a home farm (1792), a walled garden (18th century), and a stable block (1851). At the heart of Home Farm lie Sir John Soane’s 18th-century farm buildings. Built in a rustic style, the grand threshing barn still dominates the yard. Step back in time as you explore cart sheds, stables, cattle yards and deer pens. In the summer the yellow-brick dairy provides a cool refuge. Have a go at becoming a young farmer when you visit Home Farm. Try your hand at grooming the donkeys, drive a mini tractor or see how you get on at milking! There's plenty to keep you occupied. Meet the one-time powerhouses of every farm, the shire horses. The team of one-tonne 'gentle giants' continues to work for a living. For a more hands-on experience, sign up for one of the heavy horse driving courses. They also have carriage rides, with one of the horses leading the way. As one of the UK’s largest rare breed centres they play a key role in conserving rare and traditional breeds of livestock. Grand White Park cattle live with Tamworth pigs. Bagot goats graze with four horned Manx Loghtan sheep. Separate mobility parking, 275 yards from the hall. Adapted toilet at hall, stables, Home Farm and Old Rectory Restaurant. There are many steps to the entrance of the hall. Stairs to other floors. Long main staircase between floors including basement. Stone steps up to ground floor. Thus the Hall is not wheelchair accessible but there is a virtual tour available. There are sensory experiences, especially at the Home Farm. Large print guide and Induction loop available. Accessible route around grounds. Some gravel areas, concrete and grass pathways. Park: limited accessibility as grazed parkland, loose gravel paths, undulating terrain. Three wheelchairs, Five single-seater PMVs, are available. Volunteer-driven multi-seater vehicle (when available). Assistance dogs are welcome. Transport: Cambridge (National Rail) then bus. Bus Routes : 75 from Cambridge stops 1 mile away.